This Kickstarter project is nearly there so get in on this one asap! 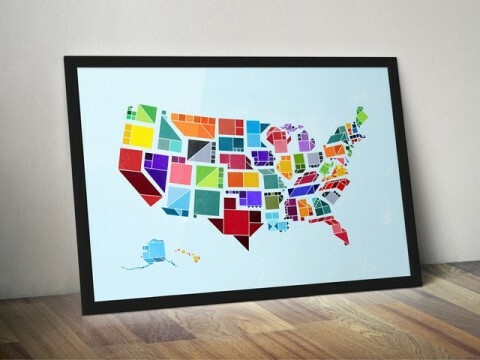 The Tangram States Poster by Midnight Umbrella is a colorful and fun US map with the state shapes made up of only squares, triangles and parallelograms. 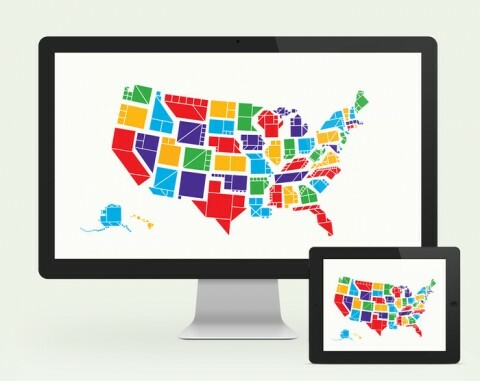 Choose an 24″ x 36″ poster with a $29 pledge or add an additional smaller limited edition 18″ x 24″ version for a $49 pledge. For just a $3, download the special edition wallpapers for your desktop, tablet or mobile device! 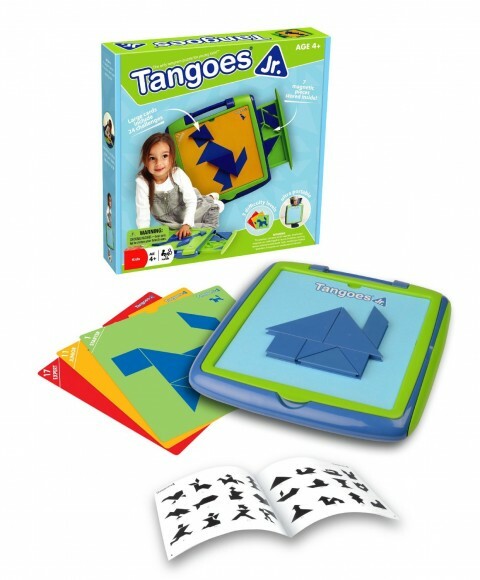 For more tangram fun, I highly recommend Tangoes Jr. for your toddlers and preschoolers. It’s excellent because the shapes are magnetic and everything fits into the hard plastic case. We’ve had this for years and it’s still fun! ← Miller Bedding Set Giveaway Winner!